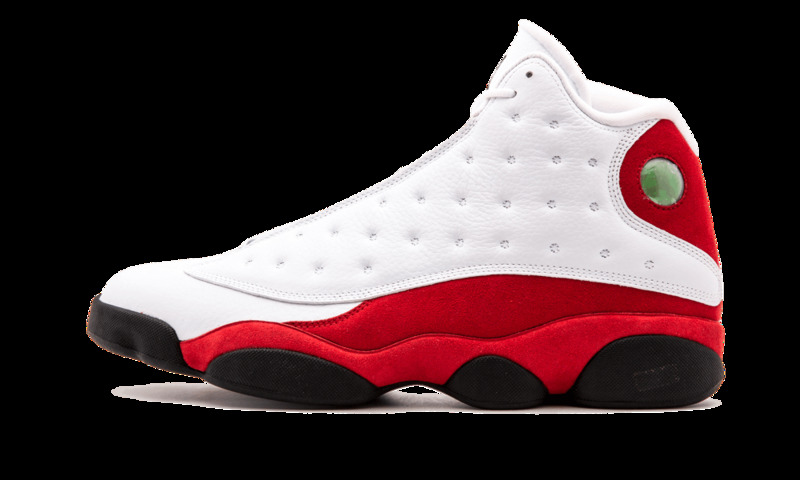 Once again back is the incredible Air Jordan 13 Retro in its OG colorway. 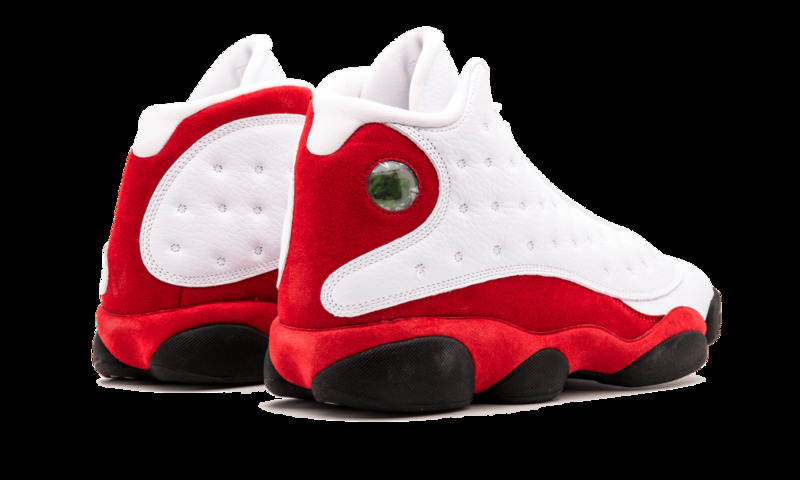 Sometimes referred to by the "Cherry" moniker, the shoe sports a Chicago Bulls-inspired colorway, with premium white tumbled leather construction on much of the upper. 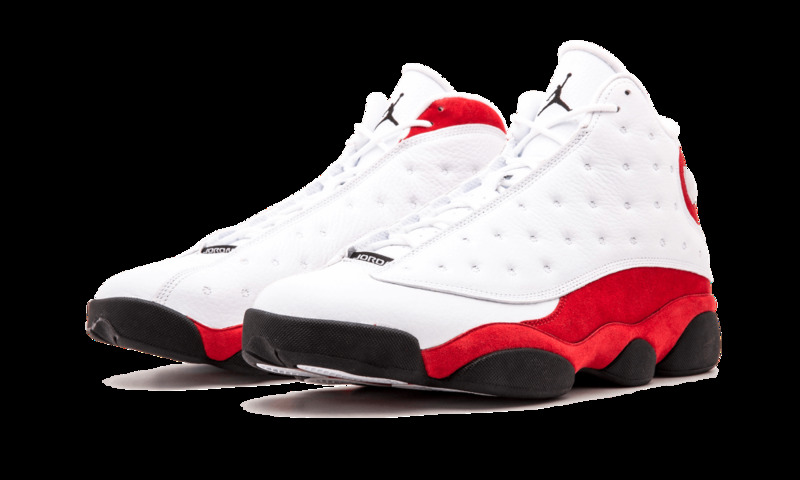 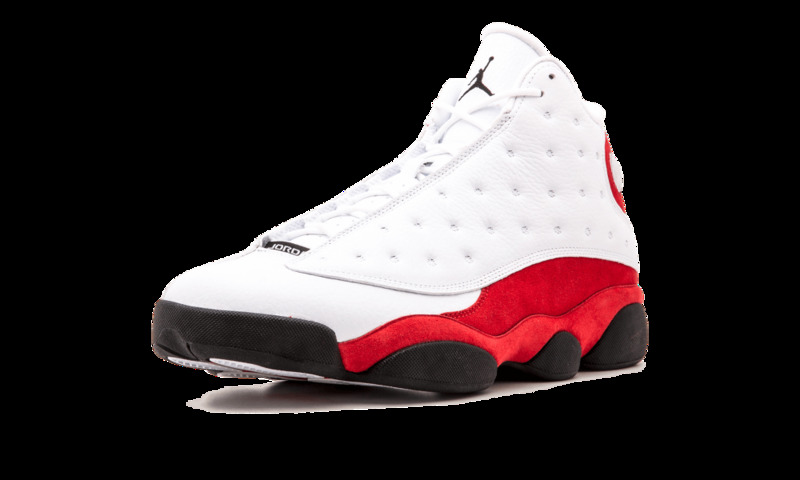 Red appears on the side panel, heel, and midsole. 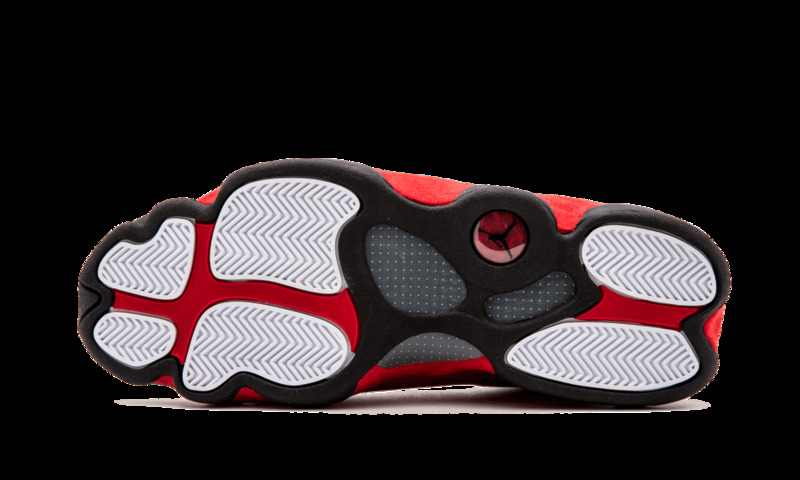 A black outsole completes the shoe, along with the iconic Jumpman hologram logo.